If you're a hot sleeper, read this article before buying your new mattress. We include options for heavy people, light sleepers, couples, and more. Do you often wake up feeling hot? Are you tired of getting sweaty in your sleep? When your mattress isn’t built to be cool, you may find yourself waking up a lot in the night due to overheating.Not only is this uncomfortable, but it makes it hard to get out of bed in the morning feeling fully rested. If you’re a hot sleeper, looking for a mattress specifically designed for temperature regulation is a must. This can mean anything from proprietary cooling fabric, temperature-regulating coils, or specially designed foams that will keep you cool. Here, we will cover the best cool mattress options for various needs, including pressure relief and side sleeping. The Brooklyn Aurora Mattress is a hybrid bed, with foam for comfortable pressure relief and coils for support and airflow. It’s a good choice for side sleepers because, in this position, your shoulders and hips take on most of the pressure and the combination of materials in this bed cradle those pressure points and align the spine. You like bouncy mattresses: The coils used in the Aurora mattress give it a springy surface. This makes it easier to change positions in the night without getting stuck in the mattress. You sleep with a partner: The Brooklyn Aurora Medium mattress is right in the middle of the road in terms of firmness. If you sleep with a partner, it should suit both of your preferences and also minimize motion disturbance. You’re allergic to latex: This mattress uses a latex alternative called TitanFlex™ for extra bounce. So, if you have a latex allergy, this could be a good choice for you. You’re on the heavy side: Both the support features and height of this mattress make it a good choice for heavier people. It’s made from durable materials and the pocketed coils help prevent sagging in the middle. We chose this as our best cool mattress for side sleepers because the supportive coils keep the body well-aligned. But, if you need even more pressure relief in that sleeping position, you may want to opt for the Soft Aurora Mattress instead of the Medium. This mattress was designed specifically to keep sleepers at a comfortable temperature while they sleep.This begins with the surface, made with TitanCool™ technology, a cooling, antimicrobial infusion that regulates body temperature and pulls heat away from your body. The next layer is made from Energex™ foam infused with copper gel. This quick-responding foam helps to pull heat away from your body as you sleep.Next is a layer of TitanFlex, a latex-alternative, for contouring, followed by a memory foam transition layer. Under this is a bed of coils for stability and support and a final layer of foam for a durable foundation. 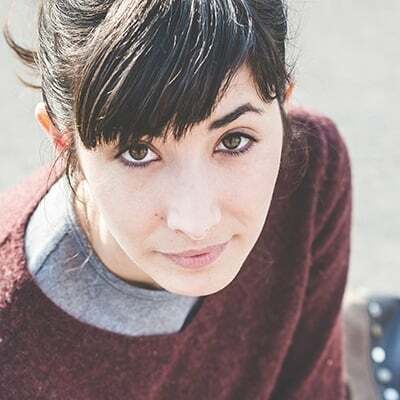 The medium option of the Brooklyn Aurora Mattress is a 5 out of 10 in terms of firmness.The materials used in this mattress respond quickly and won’t give you too much of a sinking feeling. The coil unit provides support and a deep bounce. 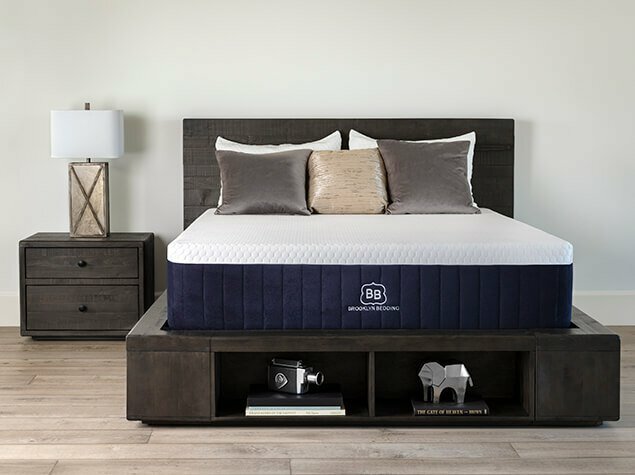 For an innerspring mattress, the Brooklyn Aurora performs well with motion disturbance.The wrapped coils and memory foam combine to reduce motion transfer, although they won’t absorb disturbances quite as well as an all-foam mattress. This mattress is CertiPUR-US® certified, meaning it’s made without dangerous levels of lead, mercury, or other hazardous materials. The Brooklyn Aurora bed has a 120-night sleep trial period, after which you can return the mattress for a full refund if you aren’t satisfied, and a 10-year warranty. The Aurora Mattress is a luxurious hybrid bed that will ship directly to your home with handles, for easier carrying and placement. Though it’s especially suitable for side sleepers, it will also easily accommodate other sleeping positions. The Purple Mattress provides pressure relief with something called the Smart Comfort Grid™, which flexes under pressure to cradle your hips and shoulders. Users report waking up pain-free after sleeping on it. We’ll be going over the Original Purple Mattress, which has a medium level of firmness. You’re a combination sleeper: This mattress provides comfort for a wide variety of sleeping positions. If you tend to move around a lot in your sleep or have a partner with a different default position than you, this could be a good option. You want a long-lasting mattress: According to Purple Innovation, the Purple Mattress’s Hyper-Elastic Comfort Grid won’t break down, even after over two decades of use. If you want your mattress to last as long as possible, this is worth thinking about. You sleep on your side: The Purple Mattress has been scientifically designed to offer pressure relief for your body. If you sleep on your side, this will take the pressure off your hips and shoulders. You want a removable cover on your mattress: Unlike some other mattresses, the Purple Mattress has a removable cover. But keep in mind that it isn’t washing machine-friendly and that you’ll have to spot clean it. The Purple Mattress is good for hot sleepers because it uses a Hyper-Elastic Polymer™ grid, which promotes airflow. We chose it as the best for people who need pressure relief because the mattress has specific technology to target pressure in its construction. After the padded, white knit cover, there’s a 2-inch “pressure erasing” layer that evenly distributes your weight across the Polymer grid. Beneath that is a layer of medium-soft foam for added comfort, then the 4-inch medium-firm base layer. The Original Purple Mattress is medium-firm, which makes it versatile and fitting for a wide range of customers. The cover feels soft to the touch and you can easily feel the supportive, comfortable foam beneath it.These materials cradle and contour your body when you lie down. Since this mattress doesn’t use coils, it does quite well in the motion disturbance category.Although it doesn’t perform quite as well as memory foam, it still minimizes motion transfer well enough to suit light sleepers. This mattress is CertiPUR-US® certified, meaning it’s made without harmful ozone depleters and will have minimal off-gassing once unpackaged. 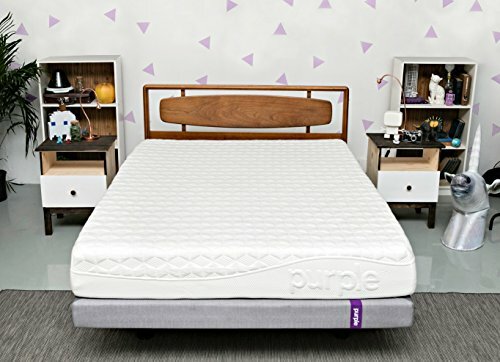 The Original Purple Mattress has a 100-night sleep trial period and a 10-year warranty. It ships right to your door and if you aren’t satisfied after the trial period, they will pick it up and you can get a full refund. This mattress works with many different types of foundations, has specific cooling technology, and works for many sleeping positions. All in all, this could be a great choice if you’re seeking a cool and luxurious sleeping experience, have a partner, and also need pressure relief. The Muse Mattress is a memory foam bed, which is probably the best possible design for light sleepers who don’t live alone. The disturbance-absorbing qualities of this material ensures that you won’t feel your partner getting up in the night or your pet jumping into bed with you. If you struggle with staying asleep at night, this could be a step in the right direction. You tend to sweat in your sleep: If you’re one of those hot sleepers that often wakes up sweaty, you’ll appreciate the moisture-wicking cover of this mattress. It’s made from a special Cool Wire Fabric unique to Muse. You don’t want a bed with coils: The Muse Mattress doesn’t use an innerspring design. Instead, it uses memory foam for a deep, pressure-melting hug. You spend all day on your feet: Standing all day can put pressure on your lower back, leading to uncomfortable aches and tension in that area. If you have a job that requires this, you’ll likely benefit from the cradling foam in this mattress, which can make your joints and muscles feel restored. You are easily disturbed by movement: You are easily disturbed by movement: The Muse Mattress does very well with absorbing motion. You won’t feel your partner getting into or out of bed at night, so you can stay fast asleep and wake up rested. Although this mattress does allow you to sink into it instead of floating on top, it’s also very supportive. The top layer is made with a layer of 2-inch thick memory foam with temperature-regulated gel, which contours to your body. Next, there’s a 2-inch layer of comfort foam that is either firm, medium, or soft, depending on which model you choose. The base is an 8-inch layer of supportive foam for durability.This provides stability, even for those who carry some extra weight and require additional support. The Medium Muse Mattress has a 6/10 firmness level, but you may choose a softer or firmer option instead. Although you will get that melting feeling that memory foam beds provide, you won’t get stuck in the mattress when you try to move around at night. Again, this bed does very well with motion transfer, making it good for light sleepers and couples.It is made without dangerous and harsh chemicals and comes with a 10-year warranty and 120-night sleep trial period, after which you can get a full refund if you aren’t satisfied. Unlike some other memory foam mattresses, the Muse Mattress provides a cool sleeping experience in addition to a deep, cradling hug. It also comes with free shipping. If you sleep light, like to be cradled by your mattress, and want to stay cool at night, this may be the right choice for you. The DreamCloud Mattress is a luxurious mattress that has eight layers. Utilizing both coils and foam, it responds quickly and has an average amount of bounce. These features make it good for combination sleepers who move around a lot in their sleep and for people who need lumbar support. You sleep on your stomach: This mattress relieves pressure and makes it easy to change positions without struggle. This is partially due to the firmness of the bed, which provides good support for those who sleep on their front. You want a long trial period: The DreamCloud Mattress comes with an unusually long trial period: a full year. If you feel more comfortable choosing a low-risk product and want a long time to test out your mattress, this could be a good choice for you. You sleep with a partner: This bed is not only good for combination sleepers but for those who share a bed with a partner. 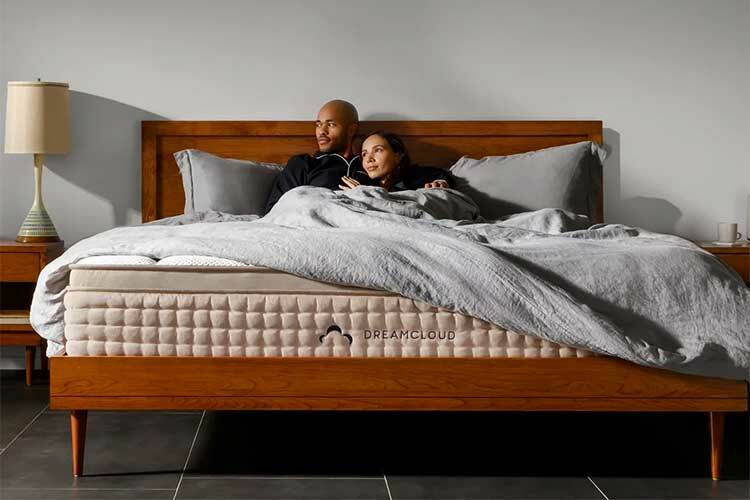 The versatility of the DreamCloud ensures that even if you have a different default position than your partner, you can both find comfort on this mattress. You are heavier than average: This mattress is medium-firm, but on the firmer side. For this reason, the support offered is good for accommodating heavy people. Since this mattress is medium-firm, it should accommodate a wide variety of people and most any sleeping position. The heat-reducing, gel-infused memory foam and cashmere cover give the surface a plush, cradling feeling. Under these layers is natural latex for a quick-responding bounce and under that is another layer of dense memory foam, for extra support. Next is another layer of memory foam for spinal alignment.Underneath this transition layer of foam is a layer of coils. The last layer is high-density memory foam that helps the mattress maintain its sturdy shape. This mattress has a firm, yet comfortable feeling to it.While people who don’t weigh much may find it a bit too firm, average-weight or overweight people will likely find it just right. Since this mattress utilizes a pocketed coil system, it isolates motion pretty well for an innerspring mattress.The layers of foam over the coils also help to minimize disturbance, so you won’t wake your partner up when you shift positions in your sleep. The DreamCloud Mattress is CertiPUR-US® certified and free from harmful levels of heavy metals or hazardous chemicals. As mentioned, it has a 365-night sleep trial period and a lifetime warranty. This warranty will cover any and all manufacturing defects for the entire life of the mattress.Overall, this bed comes with some luxurious features, like the cashmere cover and eight layers of materials. It sleeps cool and will accommodate many sleepers due to its versatility of materials and firmness. If you move around a lot in your sleep and are looking for support, this could be your best bet. It can be difficult to find a mattress for heavier people that also sleeps cool since extra weight makes you sink deeper into the mattress. But the Ultimate Dreams Supreme is made with cooling gel, which fixes that issue and keeps you cool. Made at a family-owned factory, this mattress offers a luxurious memory foam feel at a budget price. You’re looking to save some money: The Ultimate Dreams Supreme Mattress has many of the features of more expensive mattresses and costs a lot less. If saving money is high on your list of priorities, you’ll likely appreciate the price of this mattress. You’re a light sleeper: If you tend to wake up easily every time your pet jumps on the bed or your partner moves in their sleep, this could be a good fit for you. 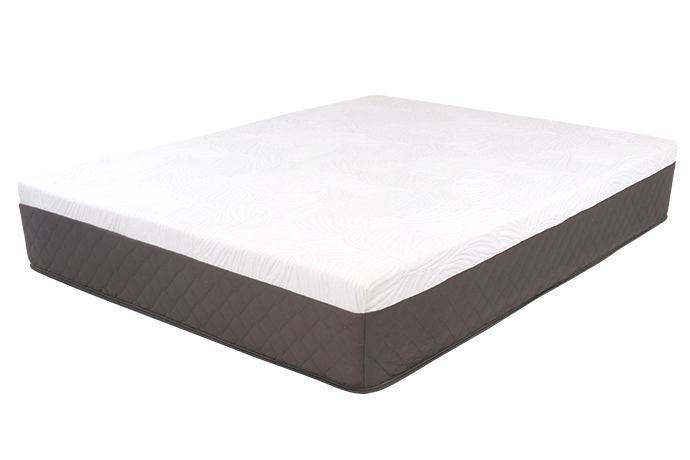 It utilizes memory foam layers, meaning it’s great at isolating motion and minimizing disturbance. You want a medium level of firmness: Medium-firm mattresses are pretty agreeable because they accommodate a variety of sleeping positions. If you aren’t sure what level of firmness you prefer or require, a medium-firm mattress would probably be the likeliest to suit you. You’re a big fan of memory foam: If you already know that you appreciate a memory foam feel to your mattress, you will probably like the Ultimate Dreams Supreme Mattress. It has the typical cradling hug of other memory foam beds and doesn’t use any coils. You don’t want a bouncy mattress: Since this mattress doesn’t use any latex or coils, it doesn’t have much of a bounce to it. Instead, it has a slow-responding surface that contours to your body’s curves. This mattress is meant to be used with a slatted bed, wooden foundation, or platform. If you are carrying some extra weight, you might want to look into the metal foundations offered by Dreamfoam. The top layer of this mattress is a layer of gel memory foam, which, according to the company, keeps sleepers 33 percent cooler than traditional memory foam. Under the surface is another 2.5-inch layer of memory foam for support and pressure relief. It also provides a transition material between this layer and the next. The final layer is the foam base that gives the mattress its overall support and shape. This bed is right in the middle in terms of firmness, which means it’s likely to suit your needs, no matter which sleeping position you favor. The surface responds slowly, as is typical of memory foam beds, and the cotton cover feels nice and soft. 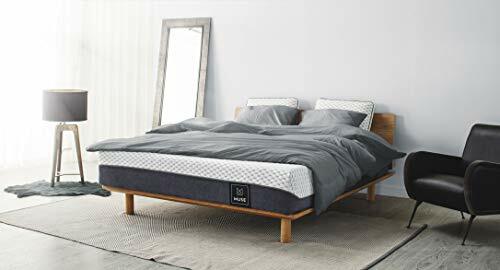 Like other memory foam beds, this mattress is great at isolating motion.This is a much-appreciated feature for those who wake up easily in the night from their partner moving around. This mattress is OEKO-TEX® certified, meaning the materials in it meet the minimum threshold for harmful chemicals.It’s also CertiPUR-US® certified and made according to standards for minimum levels of formaldehyde and other toxic materials. The Ultimate Dreams Supreme Mattress has a 120-night sleep trial period and a 10-year warranty.It also comes with free shipping. All in all, the Ultimate Dreams Supreme Mattress is a good option, as long as you know you like memory foam. And, compared to other memory foam beds, it’s far less expensive. The medium-firm design of the bed should keep your spine and body in alignment, no matter which position you like to sleep in.